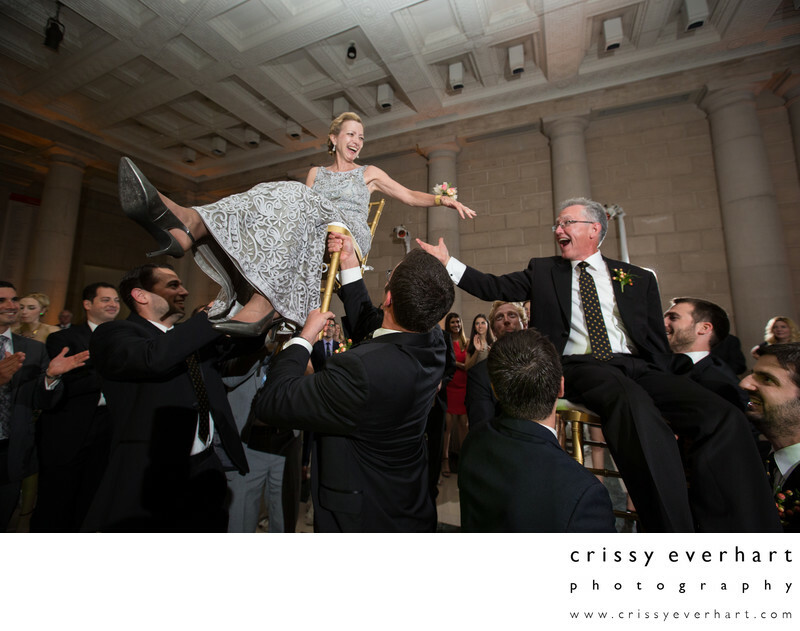 The bride's mom and dad are raised on chairs in this Jewish traditional wedding dance called the Hora. The bride and groom and both sets of parents are hoisted up by a group of men and are supposed to touch or pass a napkin between them while in the air. It never fails to make great photos, and the guests seem to love it as much as the bride and groom! The band plays "Hava Nagila" and everyone dances in circles and links arms to dance together. It is fast paced and tons of fun.